House music legend Kerri Chandler developed his passion for dance music and DJing through his father Joseph, who was a respected DJ during the '70s and '80s. Two years ago, Joseph tragically passed away and left behind a box of records for his son. That box has remained locked, until now. At an early age growing up in East Orange, New Jersey, Kerri used to wait for his father to get home so he could meticulously watch him mix records with his two modified Acoustic Research XA turntables, a Clubman 101 Meteor mixer, and enough vinyl to make your head spin. Kerri's father used to let him open at his club residency when he was only 13 years old. 40 plus years down the line, Kerri Chandler is one of the world's most celebrated house artists. He credits his father with lighting the musical fire that rages in his belly and has never forgotten the lessons he's imparted on him. 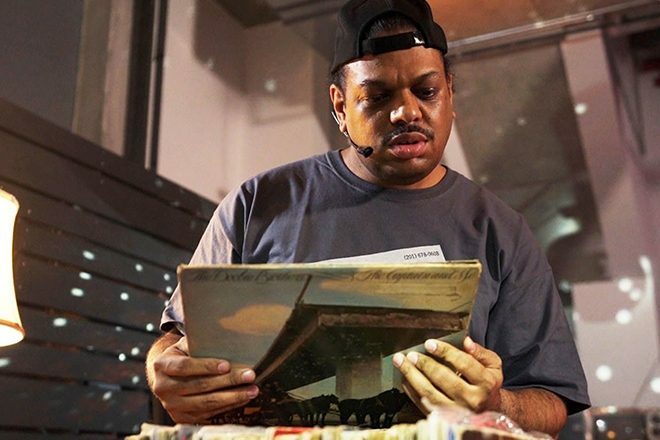 It's taken Kerri Chandler two years to open the box of records his father left behind. Finally making the decision to open it, he's decided to reveal what's inside on what would have been Joseph Chandler's 68th birthday. Recreating his father's DJ setup at our Mixmag office in Brooklyn, Kerri rummages through the records - sharing emotional stories about his father while playing the music they used to bond over. Watch the video and check out the list of records that Joseph Chandler left behind for his son below.